Blog when we're winning, I only blog when we're winning! Seriously though, apologies for the lack of update after Saturday's home opener. It was a tough game to watch, so I've been putting off writing about it. After the win away at Nagoya last week, expectations were high for a shot at revenge over Marinos. They'd beaten us home and away last year, the home an especially riotous 5-0 mauling. Away was by the one goal, and so it was on Saturday. An early goal after a defensive error and after that we just never looked in it. The visitors could have extended their lead, but we rarely threatened. When Sugiyama walked after 77 minutes that was pretty much game over, although we did manage to create three very real goal scoring chances in the final five minutes. One of Omae's shots fooled half the stadium (including the scoreboard operator), but alas it had grazed the wrong side of the post. 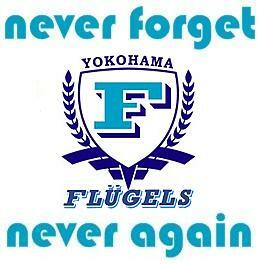 It was all too little too late, and Yokohama F. saw the game out to continue their good form over us. Hey, ho. We're only two games into the season, and we're two points better off than this time last year, so bring it on! 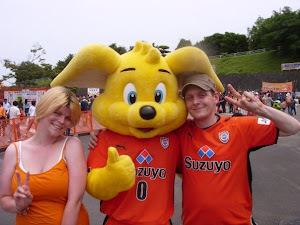 Away to Cerezo 3pm this Saturday, then away again to Urawa Racist Diamonds* in what will be a first for the J. League: a game behind closed doors. 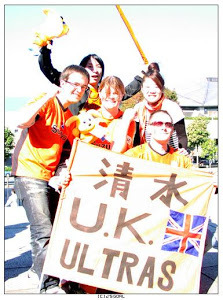 * The vast majority of Urawa's fans are not in the slightest racist.